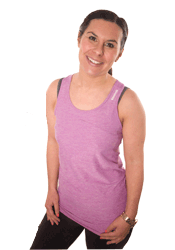 At Little Mis-Fit (me) I am passionate about maintaining the trust and confidence of visitors (you) to my website. In particular I want you to know that Little Mis-Fit does not sell, rent or trade email lists or contact details with other companies, businesses or individuals for marketing purposes or profit. I don’t and won’t do that sort of thing. About any Cookies Collected from the website. What are Cookies? (The technical bit) : A cookie is a string of information that a website stores on a your computer and that your browser provides to the website every time you return to the website. How you can control the cookies that are used when you visit this site: If you don’t want to have cookies placed on your computer then you can use the options on my cookie consent bar to refuse to accept cookies. However, some of the features on the Little Mis-Fit website may not work correctly if you do this. Performance cookies: These cookies collect anonymous information on the pages visited. By using the Website, you agree that I can place these types of cookies on your device. These cookies collect information about how visitors use the Website, for instance which pages visitors go to most often, and if they get error messages from web pages. These cookies don’t collect information that identifies a visitor. All information these cookies collect is aggregated and therefore anonymous. It is only used to improve how the Website works. Functionality cookies: These cookies remember choices you make to improve your experience. By using the Website, you agree that I can place these types of cookies on your device. (If you don’t agree then you can opt-out via the Cookie Consent bar which appears at the top of my page when you first visit). Third party cookies: These cookies allow third parties to track the success of their application or customise the application for you. Because of how cookies work I cannot access these cookies, nor can the third parties access the data in cookies used on our site. For example, if you choose to ‘share’ content through Twitter or other social networks, or if you sign up to my newsletter, you might be sent cookies from these websites. I don’t control the setting of these cookies, so please check those websites for more information about their cookies and how to manage them. Most of the cookies used on my website will be deleted from your computer when you close your browser. When someone visits this website I use Google Analytics to collect standard internet log information and details of visitor behaviour patterns. I do this to see who visits my site, where they come from and what pages they visit – that way I can find out what pages are of most interest to my visitors. This information is processed by Google Analytics in a way which does not identify anyone. I do not make and do not allow Google to make, any attempt to find out the identities of visitors to my website. Not everyone who visits or comments on my website is friendly. Because of this I use an Anti-Spam plugin. The plugin will record the name and email address you provide when you leave a comment. It will also record the comment you make & the time you make it. All comments are moderated by me before I publish them on my website. I will not publish a comment that I think contains information that could be personal or sensitive to you. But I’m human and may occasionally miss something! So please make sure that if you do leave a comment, you only include information that you would be happy to be made public. If you ever do post a comment that is published and then would like me to delete the comment, you can email me at joproctor79@hotmail.com and I’ll delete it for you. In addition to the Anti-Spam plugin I also use a website security plugin. The plugin collects your IP address, location, the time you visit the website and the browser you used to access the site. The information is stored within the website’s database and log files. The information is anonymous and is not used for any other purpose than to ensure that my website is not hacked. Some of the information is sent to the creators of the plugin so that they can ensure that their plugin remains up to date and secure. This information is also anonymous and no individual can be identified by it. As part of the registration process for my monthly e-newslettter I collect personal information from you. I use this information for a couple of reasons: to tell you about the things you’ve asked me to tell you about (classes, workshops, etc), to give you information about things I think you might be interested in, to contact you if I need to obtain or provide additional information: to check my records are right and (every so often) to see if you’re happy and satisfied. I do not rent or trade email lists with any other organisation or business. When you sign up to my newsletter I use a double-opt in method which means that you will receive an email from me, asking you to confirm that you still want to sign-up to the newsletter. I use MailChimp which is a 3rd Party Provider, to deliver my newsletter. I gather statistics around email opening and click-throughs (the links you might visit from the newsletter) using industry standard technologies to help me monitor and improve my e-newsletter. For more information on the way MailChimp gathers & uses their information please see MailChimp’s privacy notice. You can unsubscribe to my newsletter whenever you want to. You can do this by clicking on the unsubscribe link at the bottom of any of my emails or you can email me directly using the email address further down this page. On the 25t of May 2018 the GDPR (General Data Protection Regulation) replaces the current Data Protection Act of 1995 Data Protection Directive (Directive 95/46/EC). The GDPR was proposed by the European Commission and is designed to strengthen data protection for people in the European Union (EU). It also addresses the export of personal data outside the EU. The new regulations give individuals greater rights over information that is collected about them. If you are interested in knowing more about your rights under the GDPR then the Information Comissionors Office (ICO) website explains all about the GDPR. Right to access: At any point in time, the data subject (you) can ask the controller (me) what personal data is being stored or retained about him/her. Right to be forgotten: The data subject (you) can request the controller (me) to remove their personal information from the controller’s systems. General Information & Summing up! You read all the way down this page…whew! The bottom line is that I want you to be confident that I am not misusing your information. I also want my website to be secure and safe. If you would like to request a copy of your personal data then please follow this link to complete the form.